Low cost and easy to use system to drive wheelchairs and 4 wheel trolleys by attaching a hoverboard. 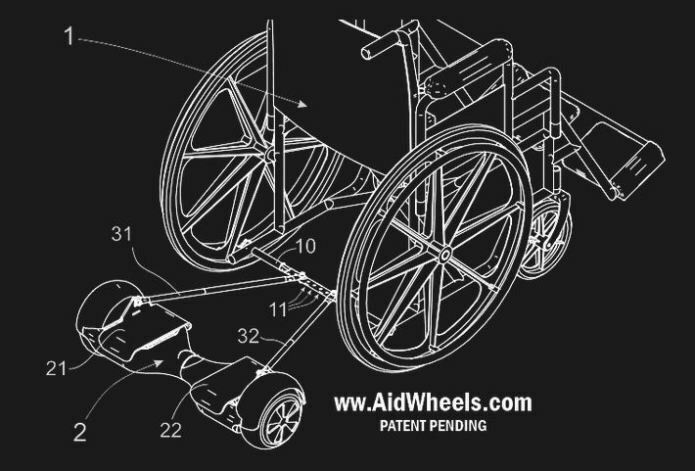 AidWheels is a PATENT PENDING system that allows you to attach nearly any type of hoverboard to wheelchairs and other 4 wheel devices, like carts or trolleys. With this aid, you can go forward, backwards or brake, by stepping in the hoverboard, while you turn with your hands, as if you were strolling as usual. 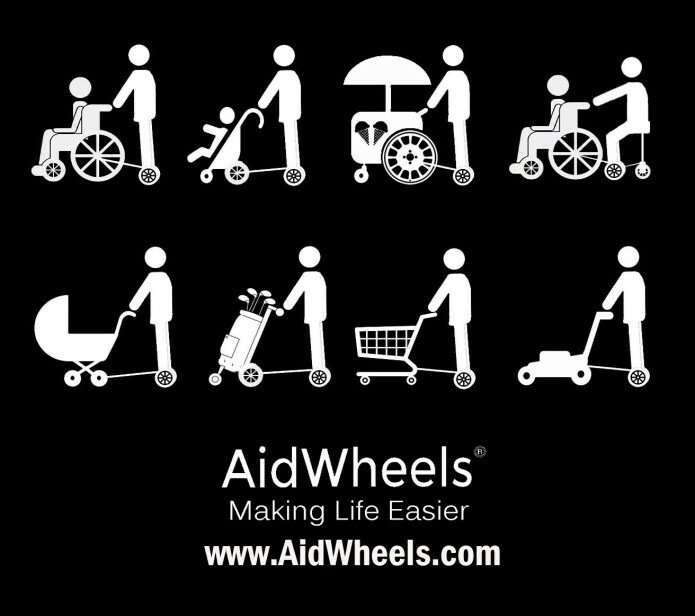 AidWheels also allows the caregiver or the person driving the trolley to travel. It is very easy to use, as you do not need any special balance skills nor experience as a hoverboard user. I am the father of Jose, a 15 years old kid with cerebral palsy. Every day, I have to move and stroll my son, take him to the park, go outside, to the school…. It is a very demanding task, both physical and emotional. 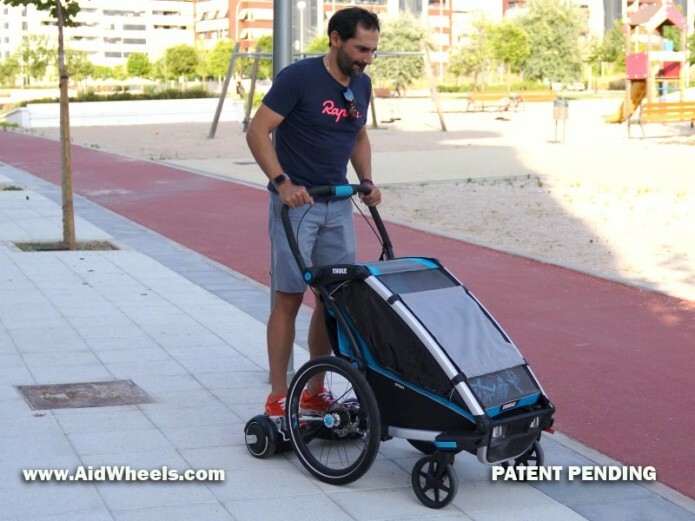 After I suffered a waist injury, I was nearly unable to walk so, along with a friend, Pablo Carrasco Vergara an engineer Co-Founder and Chief Innovation Officer at ROTOR Bike Components, we searched for a way to help me with the wheelchair. 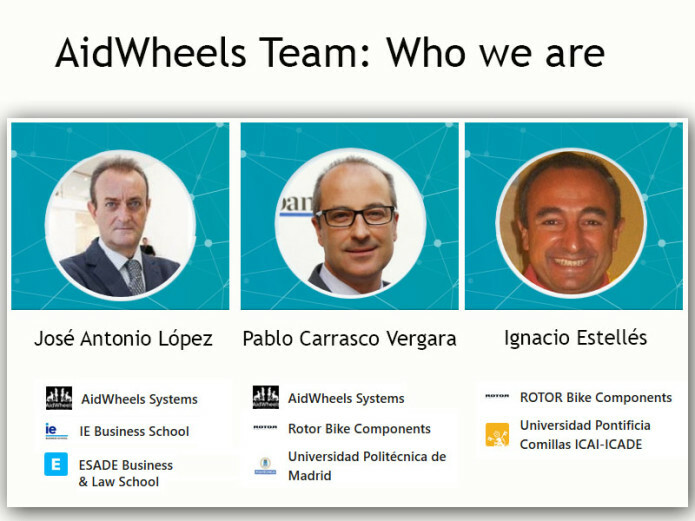 The result of this collaboration was AidWheels System. 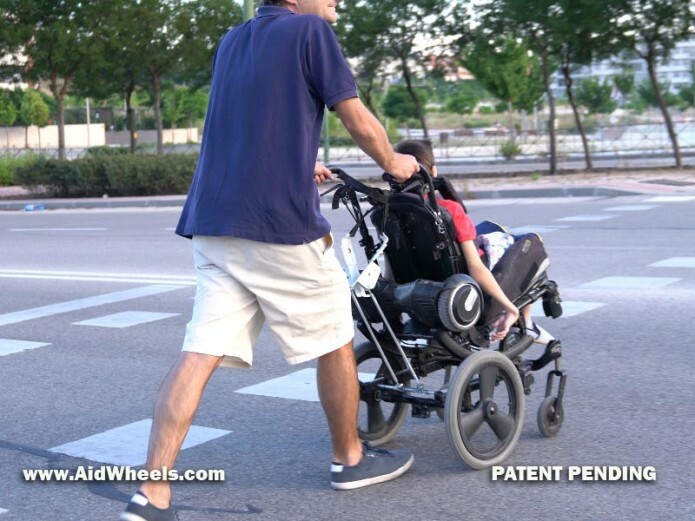 We have been using this solution to stroll my son for some time, and developed a prototype that works nearly to perfection. We have also been using it in different types of 4 wheel carts and the results are the same. As many people we meet in the street, malls or in the school were asking us to get one for them, we have decided to make it a final product so anyone could enjoy this new invention. It is not only about transport, it also gives people in wheelchairs a whole bunch of new sensations, and a great feeling of inclusion. Now, Jose´s sisters, cousins, all friends want to stroll him. He is always smiling and laughing while riding, and it is also a great help for me and my wife in our every day life. We have also shared this system with some kids in Jose´s school and also with adults in wheelchair and everybody has loved it. – E mobility at a low price: Transform a wheelchair or trolley to an electric device at a low cost. You can even use a hoverboard you have at home. – Simple and intuitive to use: Use the hoverboard to go forward, backward or brake. Drive with your hands by turning the wheelchair or trolley left or right. – No special skills or hoverboard experience needed: Just in few seconds, anyone can learn to use it. As it works on 6 wheels, it is very stable. Little kids, older people, those with walking problems… Just step on it and start riding. – Very easy to attach and detach: Only use it when you need it and no storing space needed. 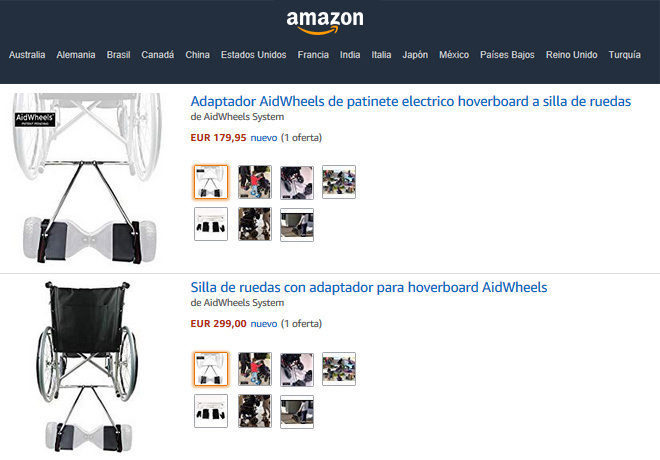 – Use it with multiple wheelchairs or trolleys: If you are a professional caregiver or need to move different wheelchairs in a daily basis, you can use one AidWheels and just connect it to the chairs you need to move. 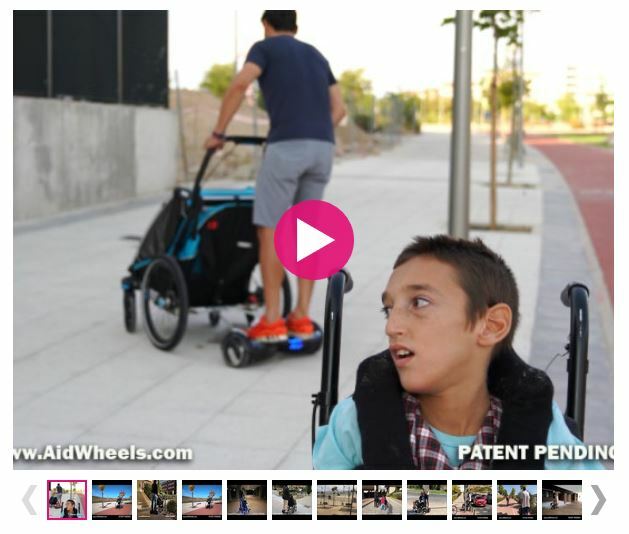 – Fun and a great sense of inclusion: With AidWheels you can now stroll kids in wheelchairs along with brothers in bicycles, other children in skates… It also motivates more people in the task of moving and strolling those in wheelchairs. We have been working in a ready to manufacture prototype and it is ready now. 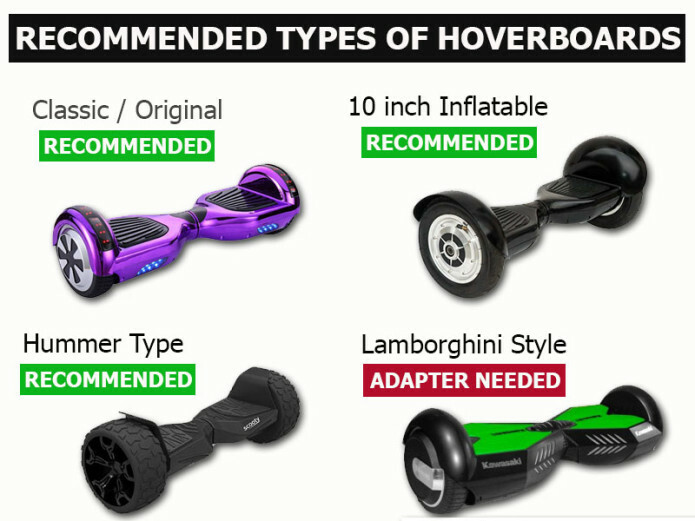 The prototype fits all the main types of hoverboards in the market. You can use it either with 6 inch or 10 inch inflatable tires hoverboards, the hummer type… We also have developed the rest of the parts that attach the hoverboard to most popular wheelchairs. The financial goal needed includes getting to the minimal amount of orders to start manufacturing at a reduced cost. The product will be manufactured in aluminum, as the prototype. Our engineering team has put a lot of emphasis on testing to ensure that our design is robust. Before the production units hit your doorstep they’ll undergo even more testing to check that the build quality is up to our high standards. 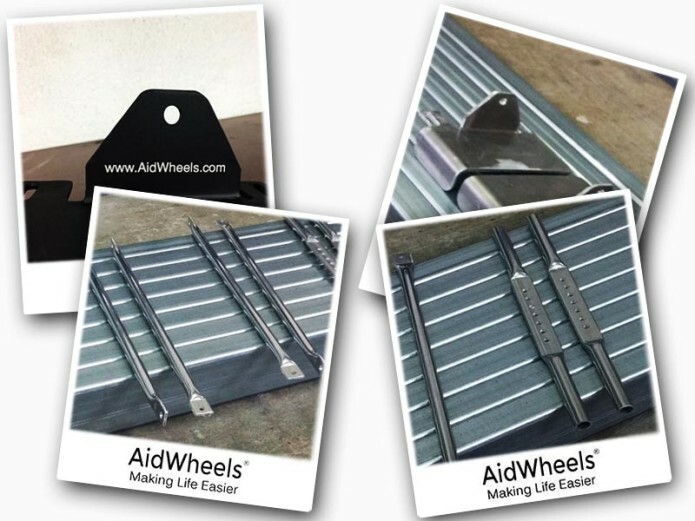 We’re confident that AidWheels will hold up to your needs. We plan to start serving Indiegogo orders in February 2019. 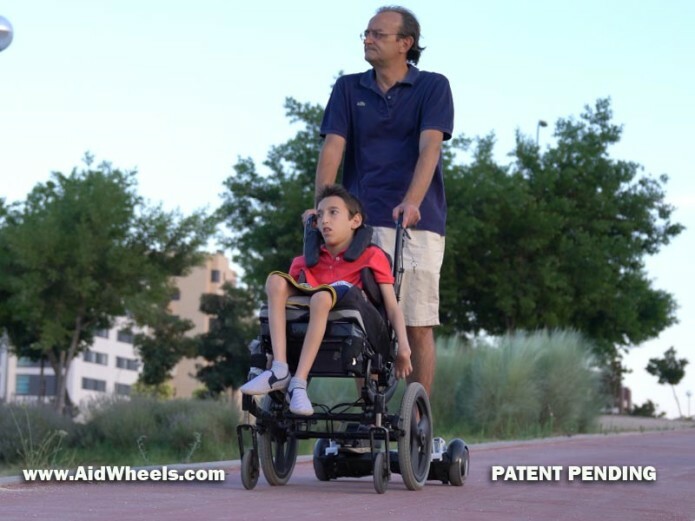 After that date, AidWheels will be available through specialized distributors only. Older people would be able to confortably stroll their loved ones in wheelchairs. Kids and people with brain injuries will have new and very exciting experiences of movement and social inclusion. 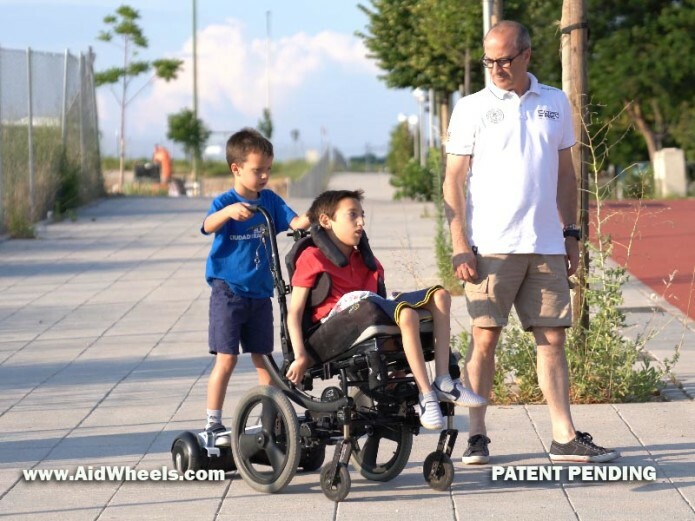 If you are not a wheelchair user, but you want to support our project, we can send an AidWheels to any association or special school of your choice, or let us do it in your name.